Hankering for the kind of beaches, sunshine and sea life that only the Caribbean can provide? You’d be forgiven for thinking it’s a total pipe dream for families on a budget. But if you’re prepared to forgo movie star-luxury, there are a handful of resorts that will more than fulfill your vacation needs. Some even offer discounts for single parents with children! These are the best bang-for-your-buck Caribbean family resorts, all coming in at under $150 per night. Travellers Beach Resort in Negril, Jamaica, has balconies directly over the sand on Seven Mile Beach — need we say more? This prime-location hotel started off in 1992 as just a bungalow. Since then, it has grown to include a range of rooms to suit different families, a high-quality restaurant and a pool with a swim-up bar. 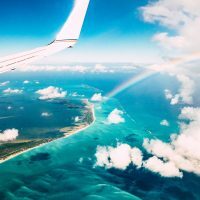 Seven Mile Beach has a lifeguard and the hotel can point you to local tour guides who offer adventures such as dolphin-spotting trips and waterfall tours. 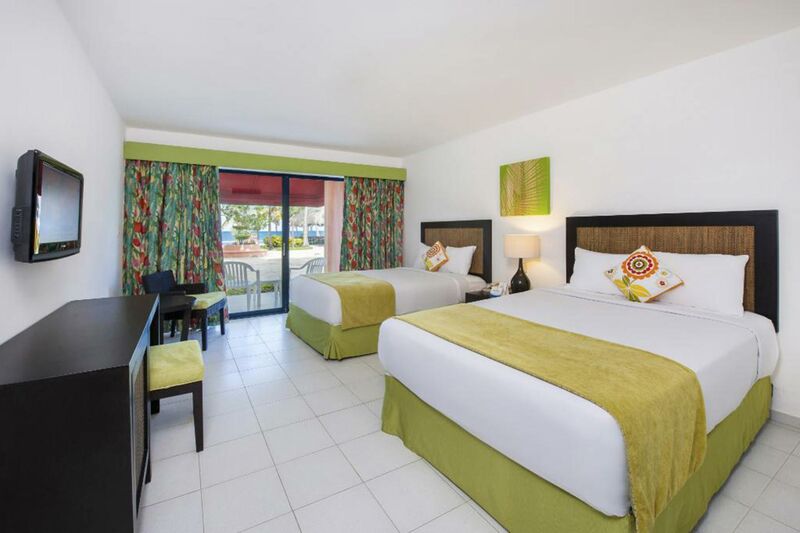 If you’re looking for a Caribbean resort experience without Caribbean resort prices, you could do worse than Caribbean Palm Village Resort in Aruba. Admittedly, it’s a mile from the beach, but the managers offer free beach transportation. There are two swimming pools and a Jacuzzi onsite, along with plenty of space for energetic kids and teens to run around. Suites come with fully equipped kitchenettes and there’s a barbeque area for al fresco family cooking. There are so many fun family activities nearby, such as Jolly Pirates sailing, Kayak Adventure and Delphi Watersports. Gem Holiday Beach Resort gets an enthusiastic mention on the list due to the managers’ special rate for single parents with children. Kids ages 12 and under stay free in the same room as their parents (16 and under stay free in the shoulder seasons). Pick a garden-view room during the quieter months and single-parent family vacation rates will be as low as $85 per night! 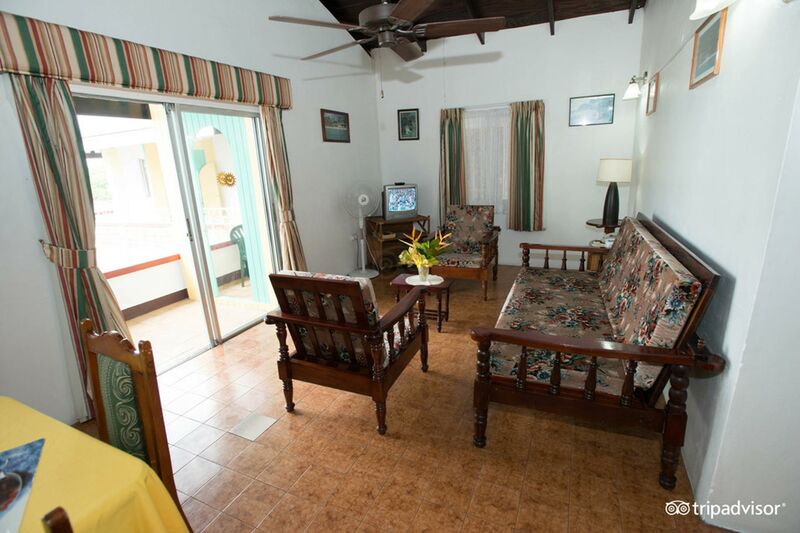 The cozy apartments are steps away from the beach and come with full kitchenettes. 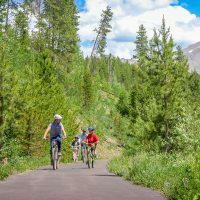 During September, the resort offers a very generous free-night package, along with birthday upgrades and free breakfast offers year-round. 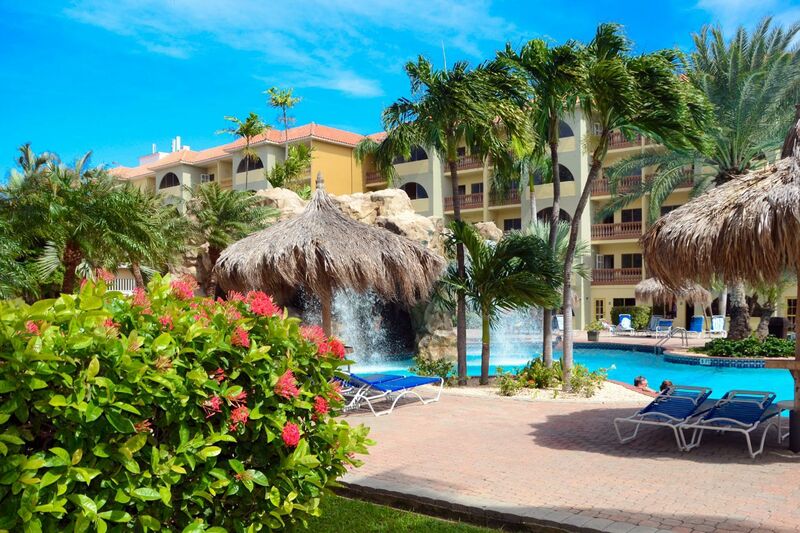 Divi Village Golf and Beach Resort in Aruba hits the budget at $150 a night. But since kids ages 12 and under stay and eat free, it’s earned its place as one of the best budget family resorts in the Caribbean. 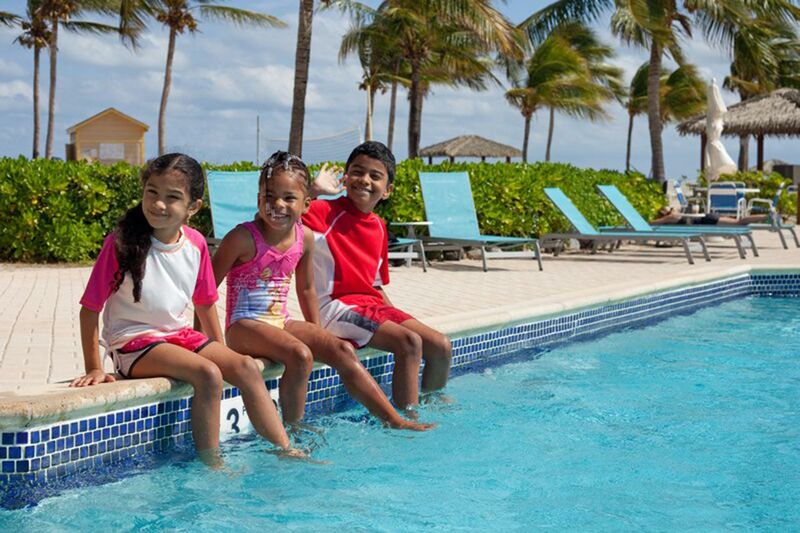 The resort offers free activities for kids ages 4 to 12 at Treasures of the Caribbean kids’ club, along with a beach volleyball area, tennis courts, a waterslide and a rock climbing area on the beach. 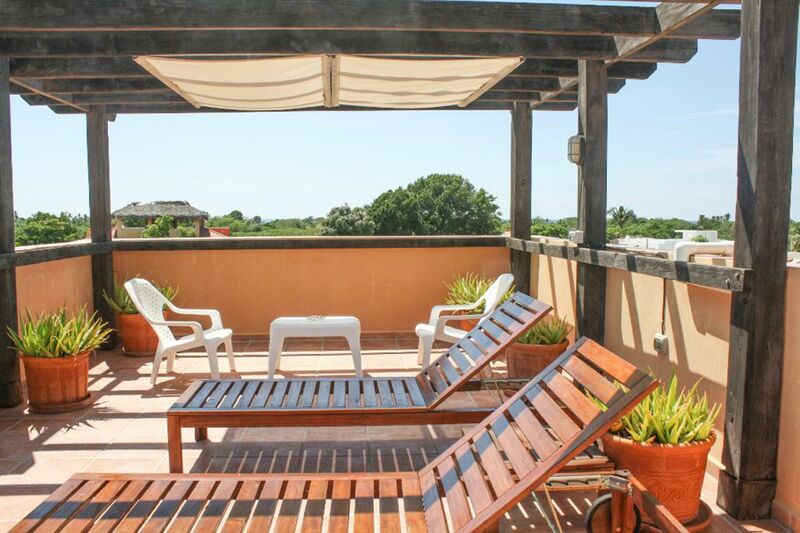 Rooms come with private balconies or patios; guests can choose to be near the golf course if they wish. 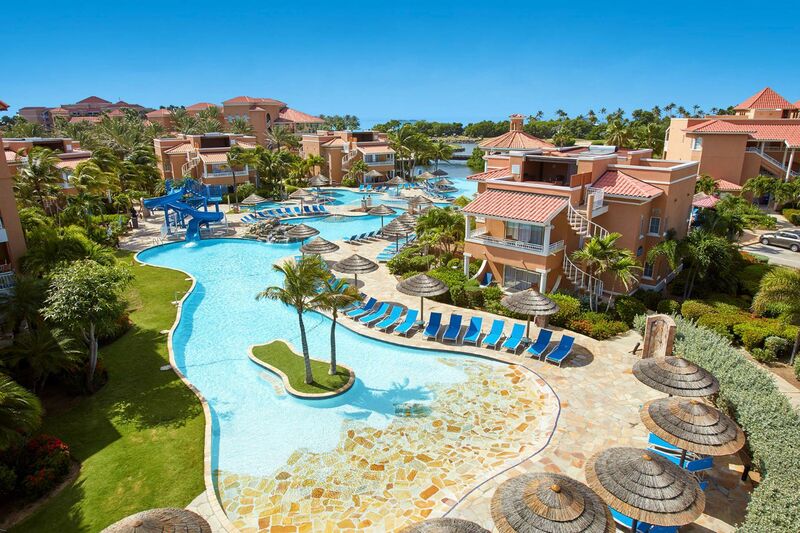 Casa Marina Beach and Reef in the Dominican Republic is an all-inclusive Caribbean beach resort without the price tag. The bang-for-your-buck, all-inclusive price includes fun water sports activities such as banana boating, deep sea fishing excursions and scuba diving lessons, plus the usual food, drinks and fun. There are also loads of family activities centered around the pool, and a supervised kids’ club for children ages 4 to 12. 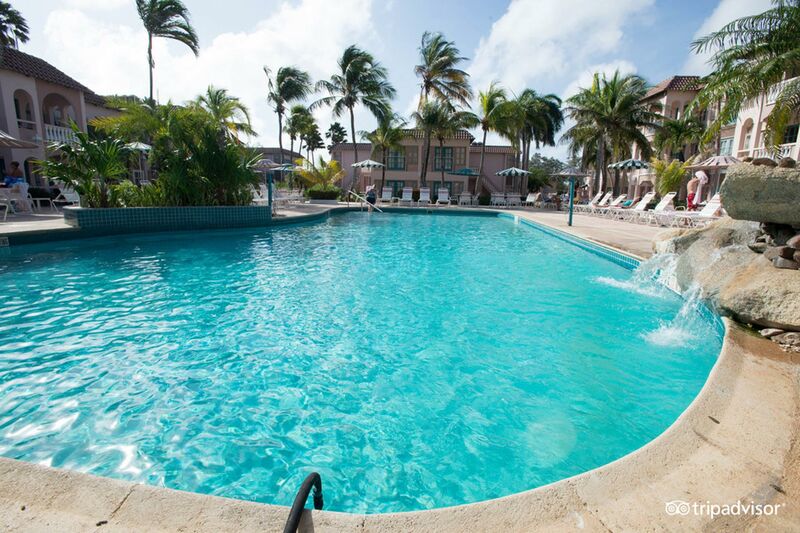 The resort even offers a special discount to single parents with kids — how awesome is that? Hotel Villa Iguana offers an alternative to the big package-holiday resorts in La Altagracia, Dominican Republic. The hotel is 220 yards from the beach, there’s a rooftop pool, and kids will love the friendly resident dog, Zion. Proving that guests are valued, Sophie, the general manager, is always available on Whatsapp should guests have queries or concierge requests. All rooms are super low-priced and additional guests are just $5 per night. For small families on a tight budget, even the $55 basic rooms have an extra single bed for a child or teenager. 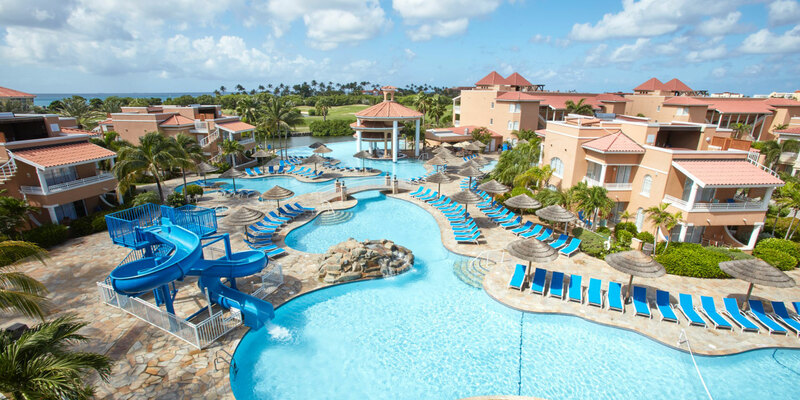 From oversized chess boards to a 150-foot waterslide, Tropicana Aruba Resort and Casino is family-fun in a nutshell. Each suite has a full-sized kitchen and dining area, giving families plenty of space to dry off and grab a snack between dips in the pool. De Palm Tours can organize nearby sea treks, horseback riding and jeep safari tours. Or, you can simply build sandcastles on the beach, which is a five-minute walk or quick shuttle ride away. The Holiday Inn on Grand Cayman is the only resort on the North Sound of the Caribbean Sea, ensuring an unrivalled tropical beach location. Guests can choose from standard rooms or suites; suites feature full-sized kitchens and dining rooms. Kids stay free in rooms with parents, and also eat free at the onsite restaurant. There’s a kids’ club open from 9 to 5 daily, too. 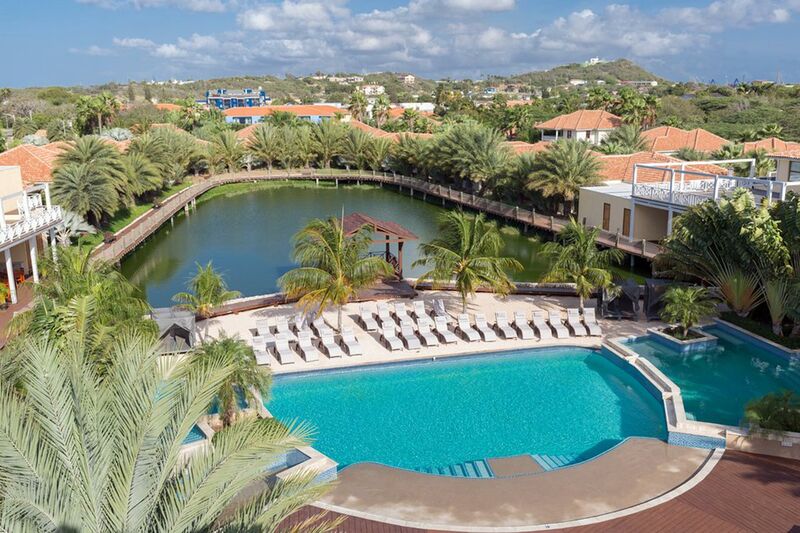 Guests at the Royal Sea Aquarium Resort in Curacao get unlimited free access to the Curacao Aquarium and may just wake up to views of dolphins jumping across the bay! 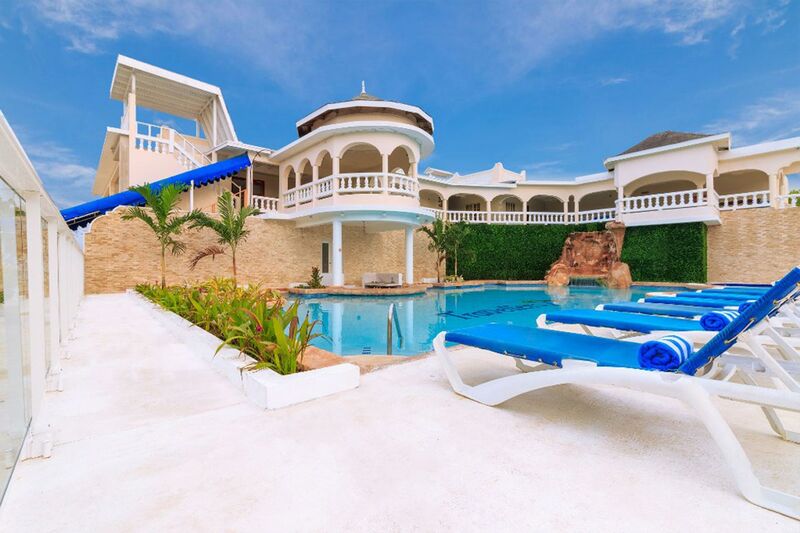 The hotel is within walking distance of Mambo Boulevard, which is full of family-oriented restaurants and beaches — snorkel sets are available to borrow free of charge from the hotel. Guestrooms include balconies overlooking the water, kitchenettes and high-speed Wi-Fi. 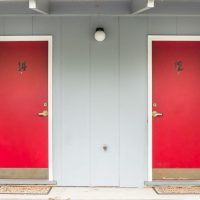 ACOYA offers deluxe family suites with connecting rooms for kids or spacious two-bedroom apartments (which may suit families with teenagers) for very reasonable prices. 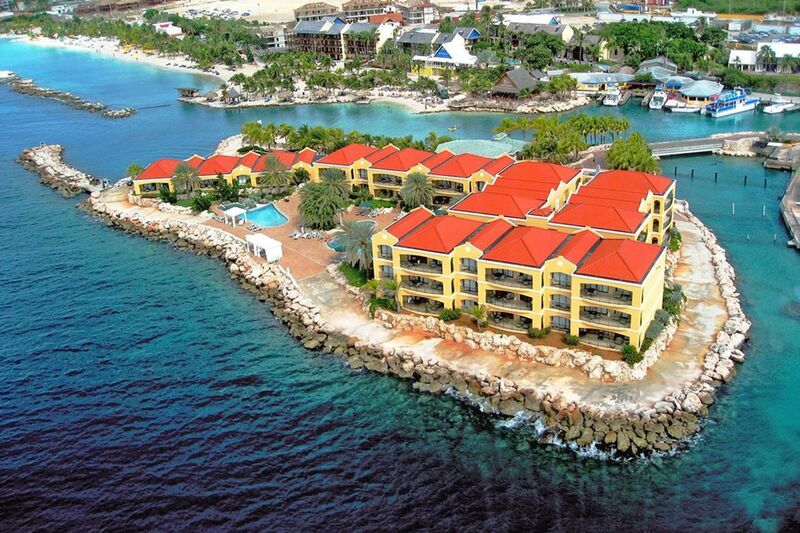 The resort is located on the Dutch Caribbean island of Curacao, known for its colorful, colonial architecture. The hotel itself is situated around a lake and features a kids’ club, a swimming pool, a kids’ pool and free Wi-Fi throughout the property. Willemstad’s historic center is just a few minutes in one direction and Curacao’s famed Mambo Beach a quick stroll in the other.